When we sleep, the body is hard at work repairing damaged tissues and replenishing our energy stores. Getting enough sleep may not be a cure-all, but it can definitely help to improve our quality of life! 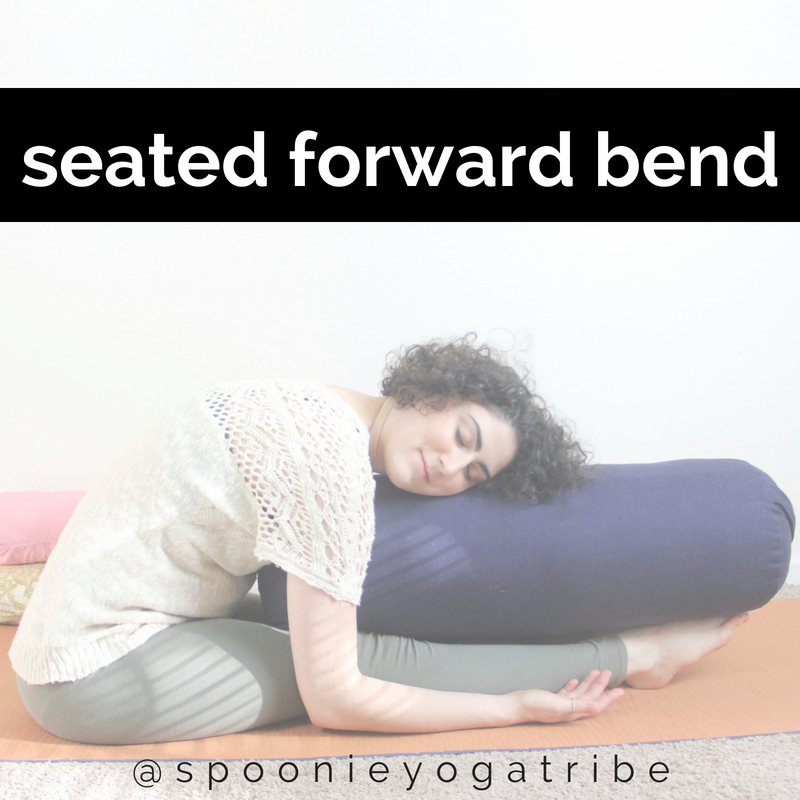 Forward folds of any kind, including childâ€™s pose are highly beneficial at bedtime. They soothe the nervous system and draw the awareness inward. Adding a bolster or block under the forehead makes this even more relaxing. Gentle twisting can help to release any residual tension that may be lingering from the day. This can be any gentle twist you prefer, but I especially like this stag leg twist variation with a bolster since it is also a bit of a forward fold. This is an alternative to savasana, which would also be a good pose to do at bedtime. I like that side-lying pose soothes the digestive tract. I occasionally will wake up in the middle of the night with abdominal pain, and this pose can help a lot. Hugging the knees all the way into the chest is also an option. The full-length restorative yoga class for insomnia is available inside Spoonie Yoga Tribe. Click to try your first week free + get instant access to this practice.